You have taken all the right steps to prepare for your interview and you are ready to give it your all. You have written down notes about the company and questions you have for the interviewer, you know the job description like the back of your hand, and you have your suit jacket back from the dry cleaner. The interview starts off great, and you are nailing the questions the interviewer asks. But then, they ask about your weaknesses. You panic. You wonder, “how am I supposed to answer this without hurting my chances at getting the job? Should I say I don’t have any career-related weaknesses?” Take a deep breath. Be Specific – Don’t throw out a general trait like being lazy or messy. Instead, choose to talk about a software, certification or other skill sets that you have not yet mastered (Excel, foreign language, Adobe Photoshop) and be sure to explain what you are doing to become better at it (online classes, meet-up groups, etc.). Don’t Give an Example Directly Related to the Role – Of course you may not be as good at Excel as you hope to be, but if you are applying for a data analyst role, this would not be a good weakness to bring up as it is a skill you would often use in this job. You want to make sure you do not make the interviewer question your ability to perform the tasks they need this person to do. Instead, focus on something that is still business related but not something that you would be doing daily in the new role. Stay Composed and Focused – Do not let this question throw off your confidence. For some interviewers, the whole point of asking about weaknesses is to see how the candidates react to the question. Remain calm and answer just as you would any other interview question. 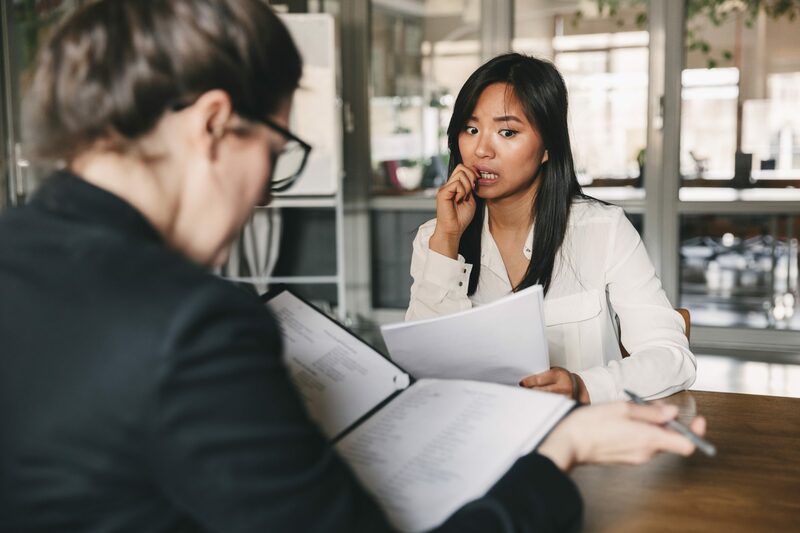 To best prepare your answer to this question, list out your weaknesses ahead of time so that you can choose which weakness is right to discuss at which interview. Interviewing can be a scary and overwhelming process, but it doesn’t have to be. Working with a Swoon recruiter will help you to get your resume recognized, help you prepare for your interviews and the type of questions you will be asked and ultimately easy your interview worries.